The Katechon Restrainer is both a masculine “he who restrains” (2 Th. 2:7) and neuter “that which restrains” (2 Th. 2:6). Walvoord and others suggest that could describe the Holy Spirit who is referred to by both neuter and masculine pronouns. However, God the Holy Spirit cannot be “the Restrainer” because infinite Spirit cannot be “taken out of the way” (2 Th. 2:7). He is everywhere, omnipresent. So I think it more likely the difference implies two separate restrainers. 1) God’s decree (1378 δόγμα dogma cp. 2 Col. 2:14) (neuter) restraining Satan and Nephilim from appearing physically as they did in the Days of Noah (Gen. 6:4) and restraining the intensity of the deluding influence they are permitted to unleash on the earth (Rev. 2:7-12); 2) The (masculine) angel(s) restraining demons from appearing on the earth from heaven above or earth below (Rev. 9:1-2, 14; 20:1-2; 7:1) by God’s command. This decree restraining spiritual wickedness in heavenly places (Eph. 2:2; 6:12) is symbolized as being taken out of the way by the free fall (4098 πίπτω pipto) of the star unto the earth (Rev. 9:1). This could have happened at the very beginning of the end time week because John saw it after it had landed, not as it was falling. 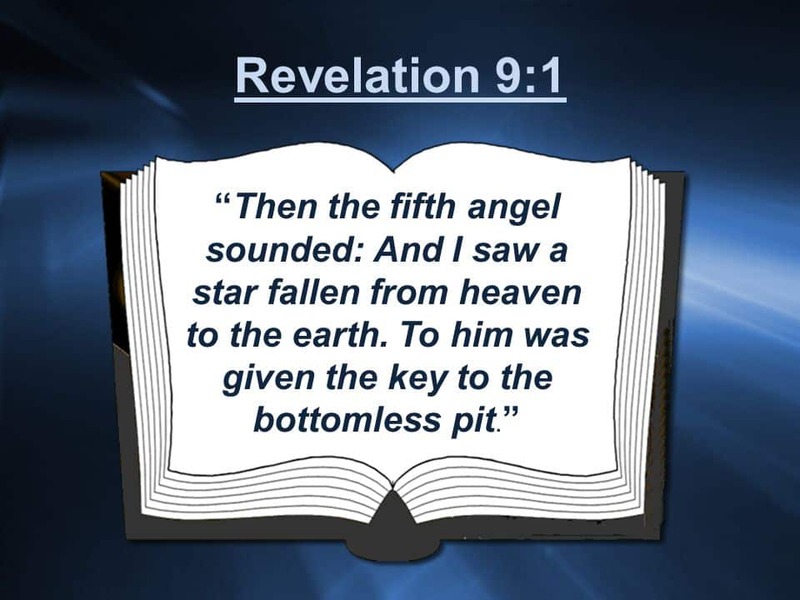 After the restraint keeping the angel aloft in heaven was taken out of the way, about five months before midweek John saw this star unlock the door of the shaft (5421 φρέαρ phrear, neuter) to the abyss taking it out of the way of demons so they could appear on earth under the sun (Rev. 9:1-6). So the door itself could be the neuter restrainer. That this angel is “he who restrains” seems confirmed when he binds and Dragon imprisoning him in the abyss (Rev. 20:1-2). No doubt that was by God’s decree (1378 δόγμα dogma) . Given Paul would not refer to the Holy Spirit so cryptically in 2 Thessalonians 2:5 and the oft mention of angels in his writings (Rom. 8:38; 1 Cor. 4:9; 6:3; 11:10; 13:1; 2 Cor. 11:14; Gal. 1:8; 3:19; 4:14; Col. 2:18; 2 Thess. 1:7; 1 Tim. 3:16; 5:21; Heb. 1:4, 5, 6, 7, 13; 2:2, 5, 7, 9, 16; 12:22; 13:2) combined with the repeated symbolism of angels restraining evil in the Book of Revelation ((Rev. 7:1-3; 9:1-2, 14; 20:1-2; 7:1) it is very likely Paul had discussed this angelic ministry with the Thessalonians. Although spiritism, the “mystery” or “”secret power of lawlessness” (NIV) did already “work” (1754 ἐνεργέω energeo 2 Th. 2:7) inspiring antichrists during the apostolic era (1 Jn. 2:18; 4:1), this special removal of the restraint would reveal (601 ἀποκαλύπτω apokalupto) the coming of “The Antichrist/ Son of Destruction/Lawless One” (1 Jn. 2:18; 2 Th. 2:3, 4, 6, 7, 8).